Ortho-Tain offers an advanced orthodontic treatment to straighten teeth without braces. Ortho-Tain is quickly becoming a leader in teeth-straightening treatments. More than 2 million satisfied clients have used Ortho-Tain to straighten their teeth without braces. The treatment is quick and invisible. Straighten teeth with Nite-Guide® for the 5-7 year olds in months, with passive nighttime wear while sleeping, guiding the growth of permanent teeth into alignment. Occlus-o-Guide® for the 8-12 year old treatment lasts 4-10 months. 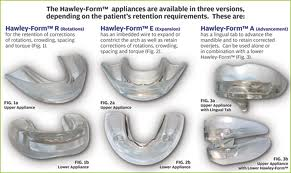 Adult Ortho-T® appliances show results in 1-12 months. Allows you to enjoy everyday activities, your favorite meals, and maintain excellent oral health. Correct overbite, overjet, rotation, crowding, spacing, and align the joints for TMJ treatment. Provide a healthy, attractive smile that naturally resists relapse for years to come! Put advanced orthodontics affordably in your reach at about 1/2 to 1/3 the cost of braces or even the cost of Invisalign. Please contact Uptown Smile with any questions you have about Ortho-Tain and schedule your consultation with us at (612) 822-1484!